• Develop a connection to the outdoors. Challenge yourself. Build friendships. Learn new skills AND have a blast outside this summer! We offer exciting, rewarding outdoor adventure education for youth ages 12-18 ranging in length from 5-20 days. 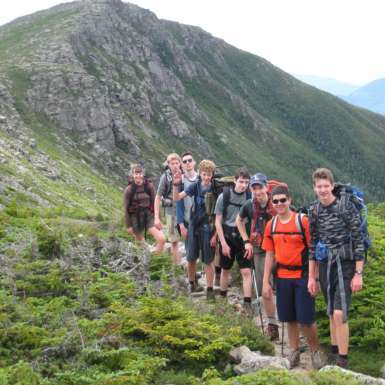 Teen Wilderness Adventures combine one or more outdoor activities–like hiking, rock climbing, backpacking, kayaking, canoeing, rafting, –with spectacular destinations. Group size on our programs ranges from 6 to 10, and each of our trips has at least two instructors at all times. Teen Wilderness Adventures participants learn valuable wilderness skills and develop essential life skills. This unique combination fosters an appreciation for the environment, develops self-esteem, instills a spirit of adventure, and promotes teamwork, friendship, and a sense of community through memorable wilderness experiences. AMC’s professional instructors are dedicated, energetic, and talented leaders experienced in working with youth. All of our instructors are certified in wilderness medicine, trained in water safety, and have strong backcountry skills. They come from a wide variety of backgrounds and life experiences and are committed to providing youth with a fun and educational excursion in the outdoors while maximizing the safety of all participants. All of our programs offer fun and adventure, but choosing the best program is as individual as each participant. 5-10 day trips to beautiful destinations by way of backpack, canoe, or kayak. These trips focus on mastery of one or two of these classic outdoor skills. Offers a taste of several skills and experiences while maintaining a sense of a longer expedition. Ranging from 5 to 10 days in length, these adventures combine activities like hiking, backpacking, canoeing, rock climbing, and whitewater. If you’re new to the fun of outdoor pursuits or think a more relaxed pace is for you, try our 2 Intro Adventures that sample hiking, canoeing, and rock climbing at an introductory level. These programs range in length from 7 to 20 days and teach the skills to be a competent outdoor leader in the backcountry with wilderness navigation, teamwork, decision making & group development. These programs are unique because they teach more advanced skills and involve more challenges than our standard programs. Backpacking remains one of the most popular outdoor activities in New England, and we explore some of the most striking mountainous terrain in the East. We camp at AMC or U.S. Forest Service shelter sites, designated tenting areas, or at our own low-impact sites and learn Leave No Trace techniques to protect these wild and beautiful areas. Most trips average four to six miles per day, and we carry all the camping gear and food we’ll need. 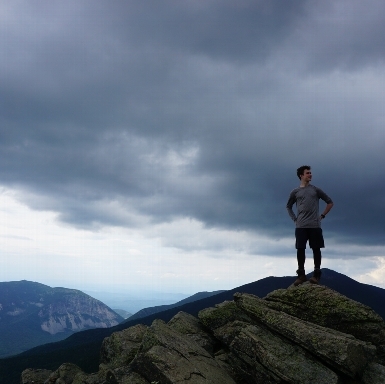 Our trips in New Hampshire explore the 770,000-acre White Mountain National Forest. 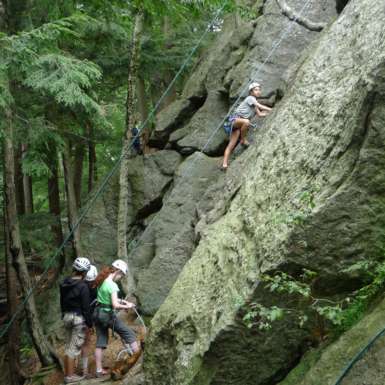 With several Wilderness Areas and world-famous mountain ranges, the forest offers some of New England’s premier hiking. Some of the places we explore include the Southern Presidentials, the Franconia Notch area, the Carter and Mahoosuc Ranges, and the Pemigewasset Wilderness area. Backpacking trips also adventure to The Devil’s Path in the Catskills of New York, Harriman State Park (New York), and the 100-Mile Wilderness and Katahdin region of Maine. Look for bald eagles in their nests and enjoy the calls of the loons as you canoe through the scenic Rangeley Lakes and river systems of Maine and New Hampshire. We will review basic canoe strokes and techniques, group safety issues, water navigation skills, and open-water rescue skills. Daily paddles over flatwater, perhaps with a swim in between, will lead us to our evening camp where we enjoy delicious meals and watch the sunset. Depending on our route, some portaging may be required. Learn to make your way confidently up famous rock faces. Using provided equipment at established climbing sites, we will learn standard rock-climbing techniques, how to belay, rope-handling skills, and rock-site safety practices. Rock-climbing sections last one to three days and, conditions permitting, culminate in a multi-pitch climb on the last day. All technical and rock-climbing equipment will be supplied. Professional climbing guides join the group from EMS Climbing School, an AMGA accredited business. During this thrilling session, you will navigate the rapids of rivers such as the Androscoggin, Magalloway, and Saco. Using provided equipment we will learn kayaking techniques, how to read the river, and how to use the currents to your advantage. Programs will start on flatwater, then move onto quickwater, and finally onto Class I, II, and possibly III whitewater. Instruction will be provided by Great Glen Trails Outdoor Center (ACA accredited) along with AMC instructors. Groups basecamp at a campground and paddle during the day. Spend a memorable day or two rafting the rapids of the pristine rivers winding through the scenic boarder region of Western Maine and Northern New Hampshire. Professional guides from the Enriched Learning Center, in Berlin, New Hampshire lead these exiting adventures on Class II, III or IV rapids. In this region, rich with woods lore and history, you’ll negotiate the same rapids and waves that were once used by northern loggers to start their timber supply down northern headwaters toward market. 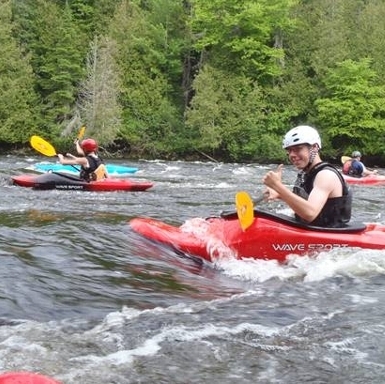 The Androscoggin, Magalloway and Rapid Rivers offer plenty of excitement as the group works together to paddle their raft as well as provide great riverside lunch spots and the chance to encounter wildlife such as moose, osprey, and eagles. When and where do my trips start and end? If your trip takes place in New Hampshire or Maine, the start and end location is Pinkham Notch Visitor Center in the White Mountains of New Hampshire. If your trip takes place in New York, the start and end location is Harriman Outdoor Center. Trips begin at 9am on the first day and pickup is at 3pm on the last day of the trip. Who signs up for these adventures? Teens like you sign up because they love being outside, challenging themselves in new ways, meeting new friends, and learning interesting things about the places they visit. Should I sign up with a friend? Most of our participants come without a friend and look forward to making new ones, which happens quickly on our trips. Still, we don’t prohibit friends from signing up. Either way, we strive to create a community of people on each trip where there are no “cliques” and exclusions. If you and a friend do come, we will expect you both to integrate with the entire group and partake in the fun of getting to know new people. Yes! 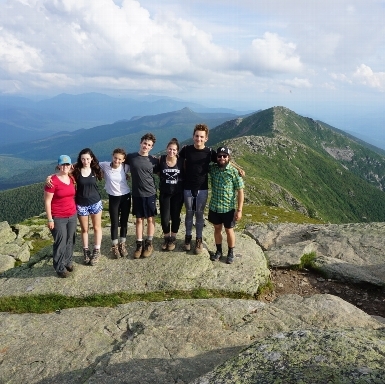 If financial constraints are prohibiting you from signing up for a Teen Wilderness Adventure, please call or email the Education Programs Coordinator for more information on how to apply for scholarship assistance and/or download our application form here (PDF, 25 KB). You may reach the Coordinator at 603-466-8125, or email amcteenwildernessadv@outdoors.org. Scholarship applications are reviewed starting February 1st, and awards are made on a rolling basis through the Spring. What if I’ve never done any of these activities before? No prior experience is necessary to participate in a Teen Wilderness Adventure, with the exception of the Leadership Training Program. In fact, we have designed some Adventures as introductory experiences. We’ll teach you all the skills you need to succeed and have a good time. You do not have to be athletic to enjoy any of the activities, but you will have a more comfortable experience if you pursue a simple routine of regular exercise beginning a few months before your trip. 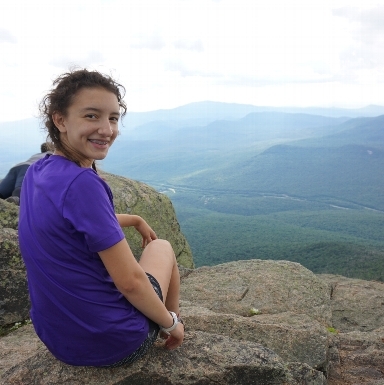 If I’ve taken a Teen Wilderness Adventure before, can I do it again? Of course! We’d love to have you back. Many of our participants return, often come back for a longer trip, a new activity, or to advance their skills on the Leadership Training Backpack. Even if you return for the same trip, it will be a completely new experience with new friends and instructors. You will be offered three full meals each day including plenty of snacks. We provide fresh food, probably similar to what you eat at home, but we might ask you to try something new. Favorite meals include various pastas, burritos, stir-fry, hamburgers, bagels and cream cheese or peanut butter and jelly, dry and hot cereal, cookies, granola, fruit, and hot chocolate for chilly evenings and mornings. We easily accommodate most dietary restrictions;let us know in advance so we can plan accordingly. All the participants help prepare and clean up after meals. You can view the equipment and clothing list for a particular trip by clicking on the individual trip link. Also when you register for a trip, you will receive the entire information packet, which includes the clothing list. We ask that you bring your own personal gear. We provide the group gear. That means you need a few changes of clothes, boots and shoes, toiletries, flashlight (headlamp preferred), hat, sunglasses, water bottles, and other similar items. We provide tents, stoves, cooking equipment, all food, and all the technical equipment for rock climbing and water sports. We ask that if possible, you bring a backpack, rain gear, sleeping bag, and sleeping pad. Every Teen Wilderness Adventures instructor is trained in water safety and certified in Wilderness First Aid. Instructors are selected for their judgment, dedication and passion for the outdoors and their experience working with young people. In addition, AMC provides an extended field training prior to the start of each summer. Any outdoor activity has inherent risk, but we work hard to minimize the potential dangers and maximize the safety precautions. One way we do this is by keeping our group sizes small, with between 6-10 youth per group, and by providing two AMC instructors for attention and supervision. Safety is a high priority in all aspects of our programs. Our leaders all have Wilderness First Aid training and are selected for their good judgment, among other qualities. Any outdoor activity has inherent risk. We do our best to minimize the potential dangers and maximize the safety precautions with everything we do. How do the multi-element programs work? If you choose an Adventure that includes more than one activity, you will either return to the starting point of your trip between each activity or have your extra bag brought to you in the field. For example, that means you can pack clothing and equipment for canoeing and don’t have to bring it along backpacking. We’ll store your extra gear and you will have access to it between trip sections. What is expected of participants on the trip? Participants are expected to keep a positive attitude, respect the instructors and other group members, take responsibility for their personal belongings and group equipment, be supportive and inclusive of fellow participants, try new activities and foods, make good decisions about personal safety, and follow the Teen Wilderness Adventures policies. Participants are also expected to help out with daily camp chores like cooking meals, pitching tents, getting water, and storing equipment and food away at the end of each day. On the first day of the trip, instructors cover expectations of participants and participants also have a chance to share what they expect to get out of their trip. Is there a service component to your trips? Most Teen Wilderness Adventures do not contain a pre-planned service component;however, many groups end up doing impromptu service projects like planting trees, cleaning up fire rings, packing out litter, or brushing in unofficial trails and campsites. Our longer trips like the Appalachian Trail Backpack, and the Leadership Training Backpack offer many opportunities to delve deeper into Leave No Trace outdoor ethics and for small service projects. For more AMC trips that incorporate a service component for teens, check out AMC’s Volunteer Vacations or Teen Trail Crews.